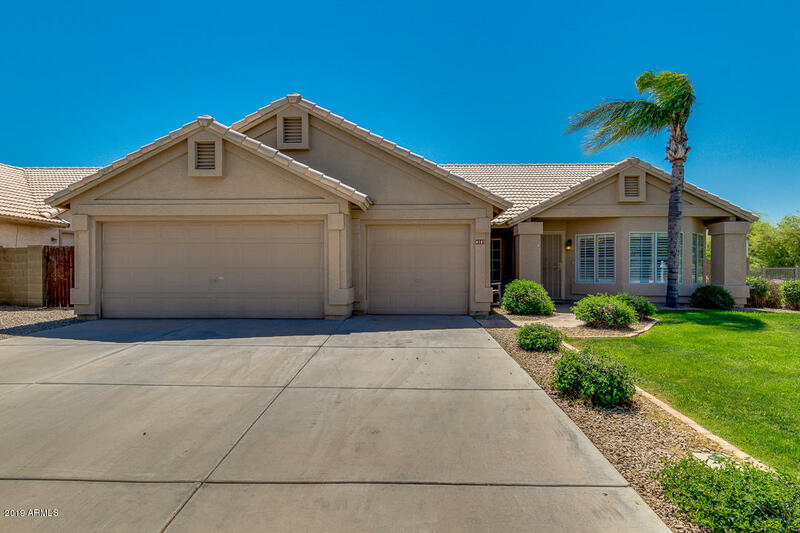 WINNER - Best New Listing in Gilbert - Welcome to this meticulously maintained, spacious home with vaulted ceilings and tons of natural light! Always be part of the conversation in the open-concept design Chef's kitchen that feels like an entertainers dream with stainless steel appliances, granite countertops, and an over-sized granite island. Enjoy drinks and BBQ's with family and friends in this resort-style backyard and sparkling Pebble Tec pool. BOTH bathrooms include upgraded dual sinks with granite countertops and mosaic tile. Don't forget the massive 3 car garage for all of your cars, toys, and (future) boat! With beautiful neutral tile throughout and carpet in ALL the right places, this home is sure to be at the top of your must-see list!